How long can ammunition be stored and remain usable? How about over 70 years? 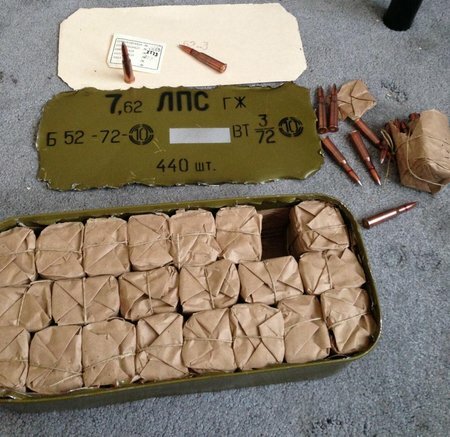 There are tons of 7.62x54R military surplus ammo available that are still sealed in tin “spam” cans of 440 rounds. If it is kept dry, it will remain shootable. If the steel cases become corroded, then they are not usable. Most of the 7.62x54R surplus ammo is Russian or Bulgarian. 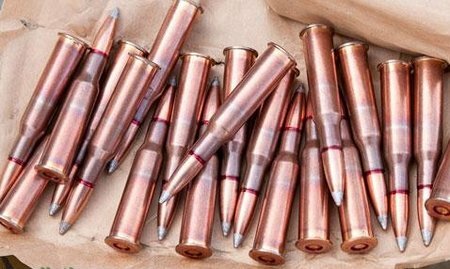 Albania has millions of rounds of 7.62x54R but the condition of it is not too good. 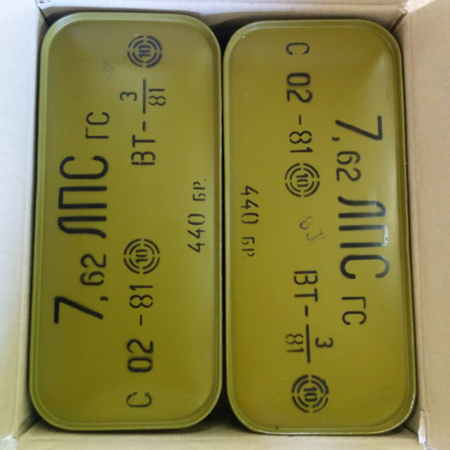 Bulgarian 7.62x54R military surplus ammo. The metal cans are usually Zinc plated and soldered shut. These are Zinc plated and painted. 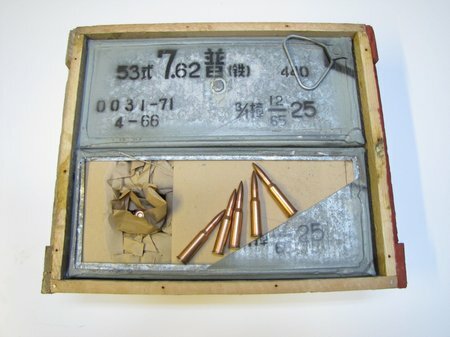 The ammo is wrapped in paper to help keep moisture away from the steel cases which are lacquer coated. You open the metal cans with an opener similar to opening a can of Spam. It is surprising how long ammunition can be stored. Lots of people still shoot 70 year old ammo. The powder and primers seem to store very well. Does this look like 70 year old ammo? 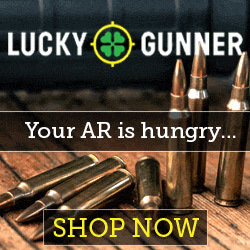 Lots of ammo ready for sale. 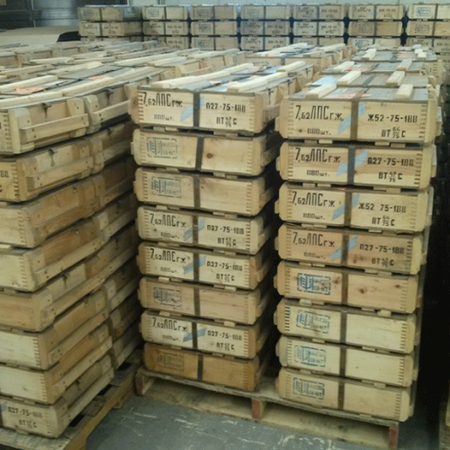 Here are pallets of 7.62x54R surplus ammo. 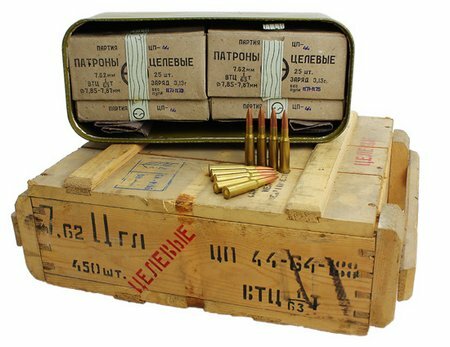 Here is some Russian 7.62x54R Match surplus ammo. You would be surprised at what you can find online. This entry was posted in 7.62x54r by admin. Bookmark the permalink.